Cross Cultural Ministry Professor Robert B. Reese has written a new book titled Who Needs a Missionary? : How the Gospel Works All by Itself. In Who Needs a Missionary? Dr. Reese reviews his own missionary experiences in Zimbabwe and finds that the best results came from an indigenous leader who had the least contact with missionaries. Reese conducted interviews with this leader to let him speak for himself about his journey with God in ministry; these interviews form the heart of the book. The book is published by Wipf and Stock Publishers. Dr. Reese’s grandparents and parents served as American missionaries of the Church of Christ to Zambia. When Reese’s parents were married they moved from Zambia to serve in Zimbabwe. Professor Reese spent his childhood between Zimbabwe and Arkansas. Dr. Reese holds a B.S. in Mathematics from Harding University, an M.S. in Mathematics from Northwestern University, M.A. in Missiology from Fuller Theological Seminary, and a Ph.D. in Misions from Mid-America Baptist Theological Seminary. From 1981 to 2002 Dr. Reese and his wife, Mari-Etta served overseas as church planting missionaries in Zimbabwe. About fifty new churches were planted in western Zimbabwe as a result of their team’s work. 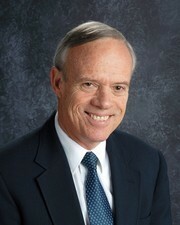 Dr. Reese has served as Associate Professor of Cross-Cultural Ministry at Mid-Atlantic Christian University since 2008. He continues to make yearly trips to Zimbabwe to train and encourage church leaders.